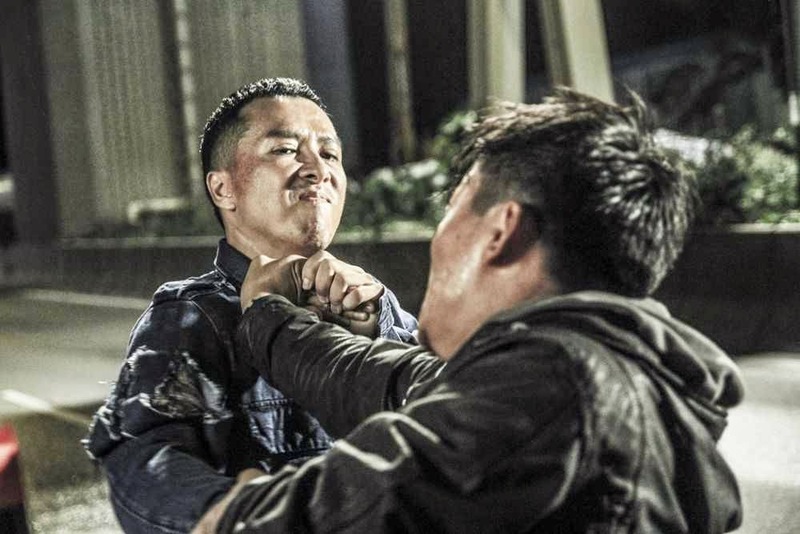 A vicious killer (Wang Baoqiang) is going around Hong Kong killing top martial arts opponents. 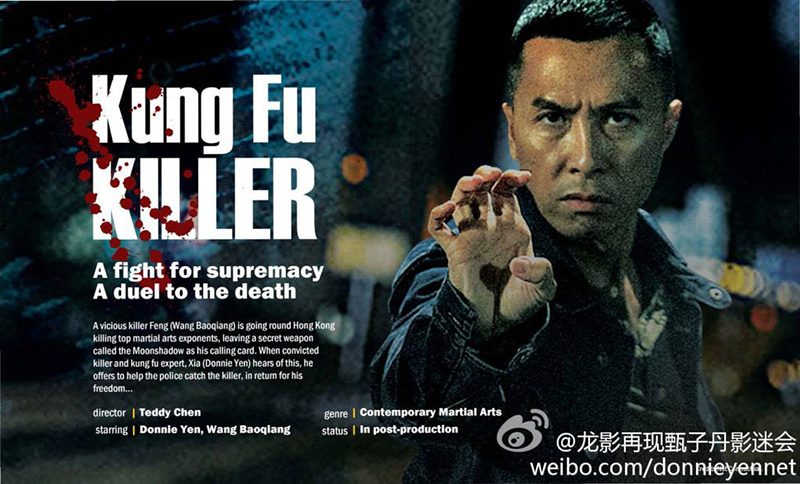 When convicted killer and Kung Fu expert, Xia (Donnie Yen) hears this, he offers to help the police catch the killer, in return for his freedom. However, the canny and lethal killer eludes them again and again. Although the latter made it quite clear that Xia would be his ultimate challenge, Xia refuses to be drawn into the life and death duel – until the killer threatens the women he loves most. 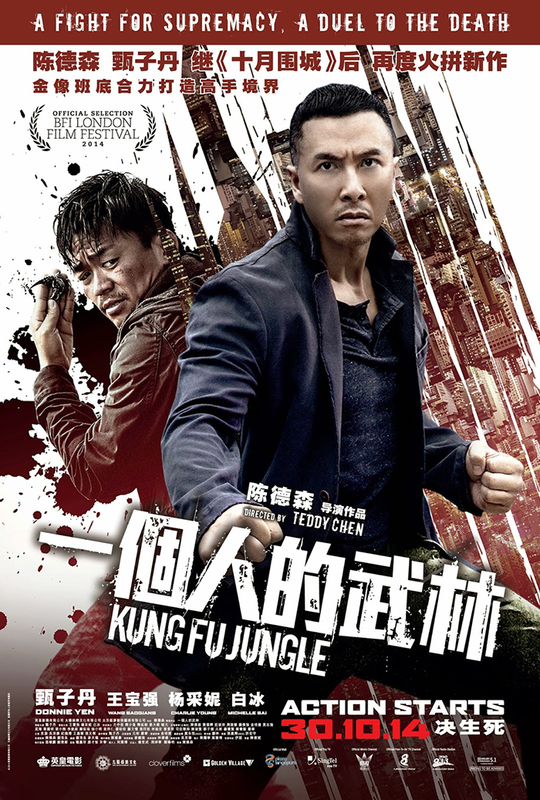 If there’s any film that can be on par with Donnie Yen’s Ip Man, I think it will be Kungfu Jungle. When we talk about martial arts, it would often be period movies. Even in Donnie Yen’s previous movie (Iceman 3D), he came from the Ming Dynasty to the present world. But in Kungfu Jungle, the script writer managed to combine the various forms of Chinese martial arts into a pretty decent storyline and it doesn’t feel odd at all! 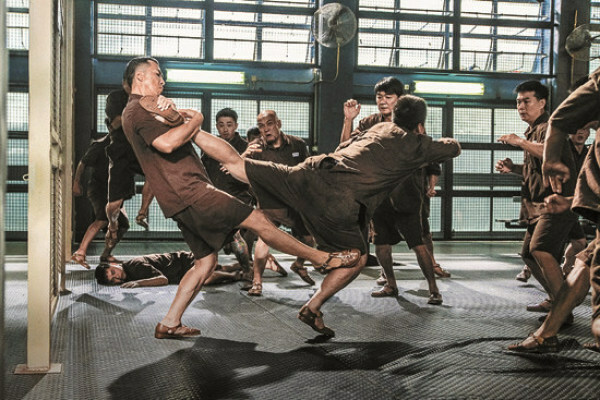 So if you are wondering what are the highlights of the film, and if you’ve watched Donnie Yen’s Ip Man and remember his classic one versus ten men fight, you will probably want to watch the Kungfu Jungle and witness his one versus seventeen men this time. He’s fighting against a bunch of prisoners this time round, in order to get the attention of the lead inspector. In terms of love, be it (Donnie Yen) Xia’s love for his junior or (Wang Bao Qiang) Fung’s love for his wife, they were rather subtle.It’s rather ironic given that the two martial arts experts had used the “power of love” to push their skills to the extreme. Xia did not exactly expressed his love through expressions, and it is easily mistaken as poor acting skills. But me being biased, will rather take it as an awkwardness of an boarish man who is not good with his words and actions. In comparison to Donnie Yen’s semi-cool and controlled behaviour, Fung was someone who was bold in showing his emotions. His love for his wife was shown in a very unique way – performing martial arts while she chants the mantra for him. It was a very scary thing to watch him move from one expert to another, and very sadistic to watch the way he killed them. I was cringing half of the time watching his amazing but cruel fight scenes. Besides the great fighting scenes and the fantastic cast, this movie is not without surprises. 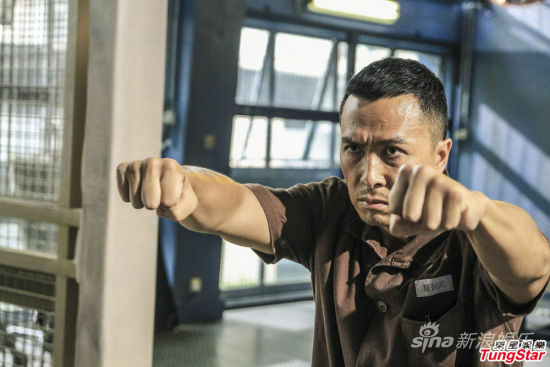 I was impressed how the film managed to capture the duo personality of Xie (Donnie Yen), his fiery and ambitious nature through his fight scenes; his calm, loving and nurturing personality in jail (by using his skills to help the elderly with their ailments), and towards his junior. It’s almost like the Yin and Yang side of him! 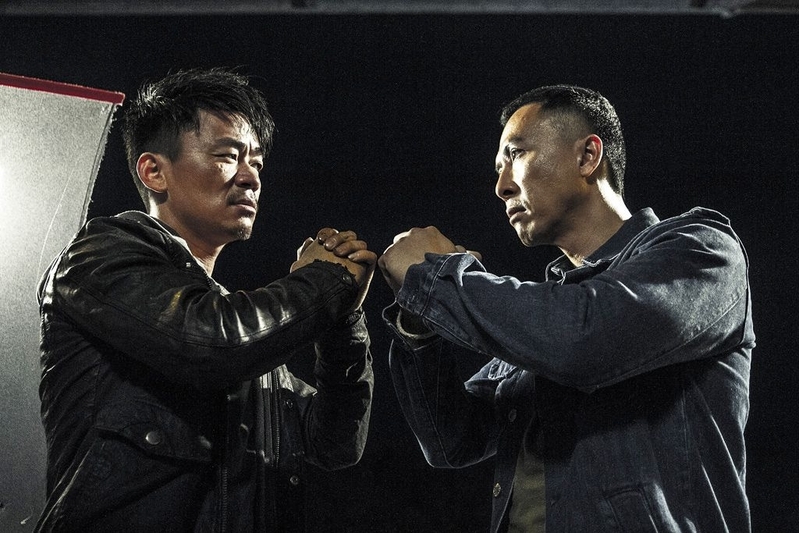 With elements of martial arts, crime, thriller, suspense and special effects, Kungfu Jungle is an almost perfect story, if not for the little bone found. Xia used this particular formula (先练拳次练腿，后擒拿用兵器，由内而外) to solve the case and find the next victim. It roughly translates to “Start with punches, then the legs, then practise grappling and weapons, start from inner to outer). At the very last part, they missed out on the last martial arts expert’s area of expertise! Before I end of my review, I thought I will just mentioned this point for everyone to spot, the part where the duellers salute to each other by having one hand on top of the other clenched fist. I was told that in Chinese martial arts, there’s a saying “Right is war, left is peace”, when the characters have their left hand on top of their right clenched fist (during the salute), it means to fight till death, while the latter means respect or to have a peaceful fight exchange. I couldn’t really find anything on google that explains this, so it will be pretty cool if you can try to spot the various exchanges in the film to see if it’s true! Kung Fu Jungle was previously known as Kung Fu Killer and Last of the Best. Wang Baoqiang was known for his comedian roles and not many people know about his Shaolin Kungfu background. His previous fighting role was Iceman 3D (冰封：重生之门) with Donnie Yen. He is also currently one of the participants in the China version of Running Man (奔跑吧兄弟). The two main lead of the film has been labelled as the Universe’s strongest Donnie Yen meets the Galaxy’s strongest Wang Bao Qiang. The film was made as a tribute to the various martial arts experts and veterans in the Hong Kong action movies. They’ve either appeared as cameo or in some form of subtle placement as little details in the background. For example, Jackie Chan appeared by having footages of one of his early films Drunken Master (1978) shown on TV in the movie. Director Kirk Wong of Crime Story (1993) appeared as a small-time communications officer. Veteran kungfu star David Chiang, Golden Harvest founder Raymond Chow and action choreographer Tony Leung Siu-hung also showed up in different scenes. Check out Kungfu Jungle (一个人的武林)IMDB Website. 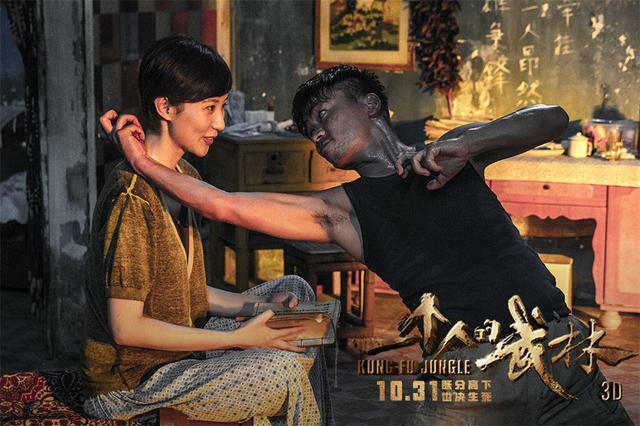 Kungfu Jungle (一个人的武林) is out in cinemas on 30 October 2014. *Disclosure: Special thanks to Clover Films Singapore for the preview tickets. No monetary compensation was received for the movie review. They’ve plagiarized me, and many others on this appalling website. Haha, just google for some online and watch it! There’s no better time than NOW! Must See Movie! Dinnie Yen is One of the Best in making movies about Martial Arts and the like..More Power Donnie Yen! Best Donnie Yen film since Ip Man? Sounds like you didn’t see The Lost Bladesman. That,in my opinion for what it’s worth, is the best Donnie Yen film as both the story and action are good. Kung Fu Jungle’s story isn’t too good while the action is excellent. I mean it’s okay to go see a Donnie Yen film for the action as he always delivers, discounting the recent Iceman and Monkey King efforts. Kudos for Donnie including older actors of HK action movies in this one, that’s terrific in my book and worthy of applause. When I was watching it opening day here in Hong Kong as these actors appeared on the screen you could hear murmurs in the crowd as they were recognized.. Comparatively speaking, as far as action movies go though, your money’s better spent going to see Rurouni Kenshin Kyoto Inferno and The Legend Ends as the story, acting, action, and score are all good.. The finale of TLE is the best I’ve seen in quite some time. Eric Poling editor Hong Kong action movies. Actually the hand salute (one hand on top of another hand, always left on top of right) means one chinese character, 明, the sun (left) and moon (right). It was a hand signal used during the Qing dynasty when the Hans plotted the overthrowing of the Manchurian government. Any movie with legendary martial arts actors, in this case Donnie Yen, is definitely a good kung tu film! Looks like there is a lot of action in this one! I love a movie that keeps you not only entertained, but on your toes as well.. I like watching martial arts as a whole, they are beautiful to watch, there is some load of energy and power in them, whereas other action movies where the characters just shoot at each other with various guns do not impress me much. So I think Kungfu Jungle Movie is definitely for me! I will definitely watch this movie! I am a big fan of Donnie Yen. I even take the photo opportunity of him in Madame Taussads in Hong Kong. I admire his Kung Fu skills and how all his movie went well. Thanks for this great review.! Your rating of 4.5 is close to perfection and I bet many Kung Fu movies’ enthusiasts will enjoy watching Kung Fu Jungle. My hubby and kids will surely like this. I am very eager to see this movie, have some videos of the fight? A comedian that’s got shaolin kung fu skills up his sleeve? Lethal! I’ve had my own share of memorable Kung Fu movies, though I have to admit, they’re more “hollywood-y” in nature. I started with Kung Fu kids when I was, well, a kid in the 80s. I remember laughing so hard. Then they showed the Drunken Master again and I watched that with my folks, too! will definitely add this to my list of must watch movie this month! thanks for sharing! It is a movie that I will enjoy watching. Right now, I already look forward to the fight scenes – something that I’ve always been interested in. I’ve come to appreciate Asian films because I think, we have a lot of talented people who do the screenplay.